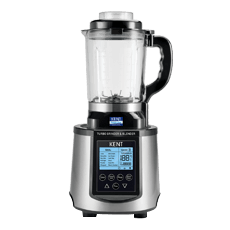 This kent turbo grinder & blender has high power with high speed operation. Its diamond cut blades powered with 30,000 RPM motor even crushes the ice, makes dosa batter. It comes with 12 preset functions let you make a variety of food and beverage with just one touch. To Recieve updates and possible rewards for Kent Turbo Grinder & Blender please sign in. To Recieve updates and possible rewards for Juicer Mixer Grinder (JMG) please sign in.